Cottage Chalet in The Blue Mountains. 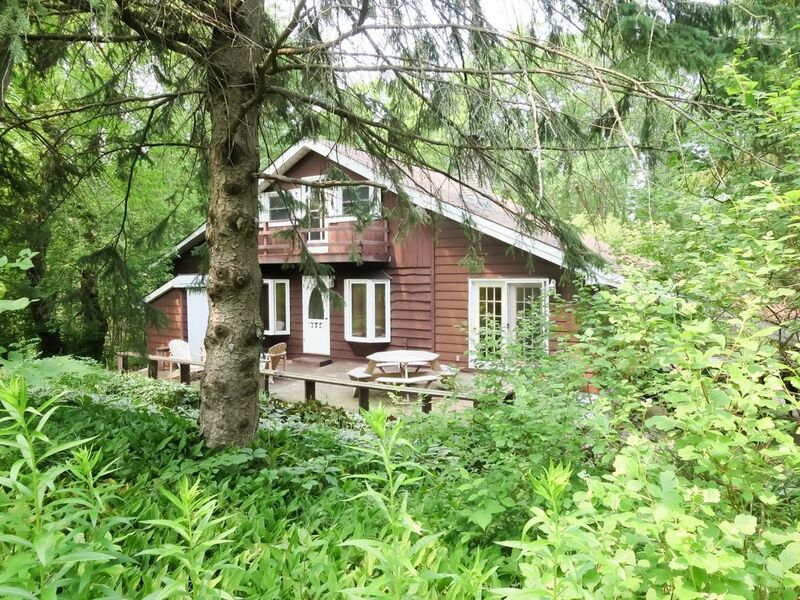 A two storey chalet style home featuring 3 full bathrooms, 5 bedrooms and 2000 sq ft of living space. Location is close to golfing, hiking, swimming, boating and minutes to Thornbury, close to the Georgian bike trail, Delphi Beach, Peasemarsh Nature Preserve, the Bruce Hiking Trail, Council Beach, the Scenic caves and Blue Mountain Village. Local access to Georgian Bay, and a small sandy beach is via a public right of way and is a 5 minute walk down the road. Kayaks are launched via a public path to the bay across the road. Cottage has a south facing wood deck, an interior wood burning fireplace, a full kitchen, BBQ, and air conditioning. Bikes, 2 kayaks and a stand up paddle board are available. 2 kayaks available with wheel dollies, one Stand Up Paddle Board (SUP), badminton net and rackets available, croquet game available, life jackets available, 3 bikes available. We really enjoyed our stay at this chalet cottage. It is located on a quiet street, and it is a large private property with lots of towering trees. While the home is not on the waterfront, there are two public water access points within a 2-5 minute walk, and we really enjoyed exploring the numerous beaches that are all within a 5-10 minute drive. The cottage is spacious, and has a lovely games/tv room in the basement. Maureen is a great host and took the time to show us all the features and even gave us a little tour when we arrived so we would know where to launch kayaks or where the good beaches were located.